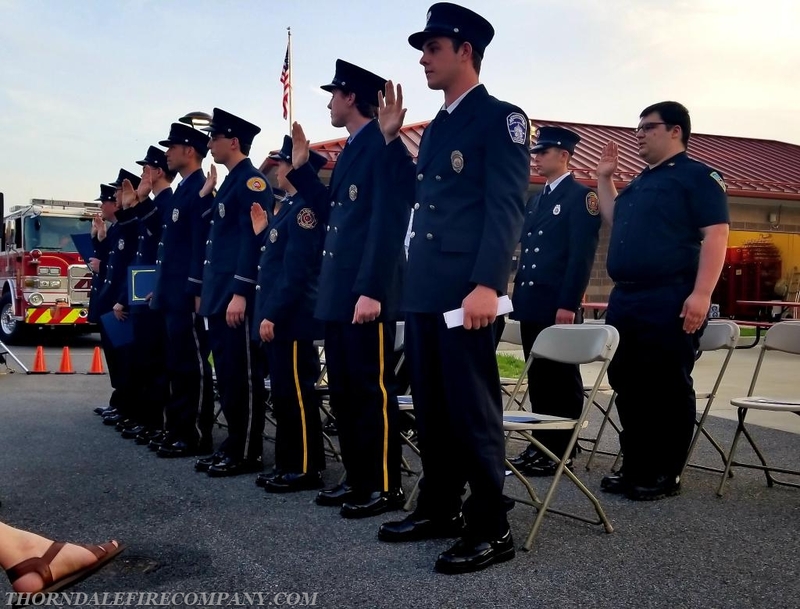 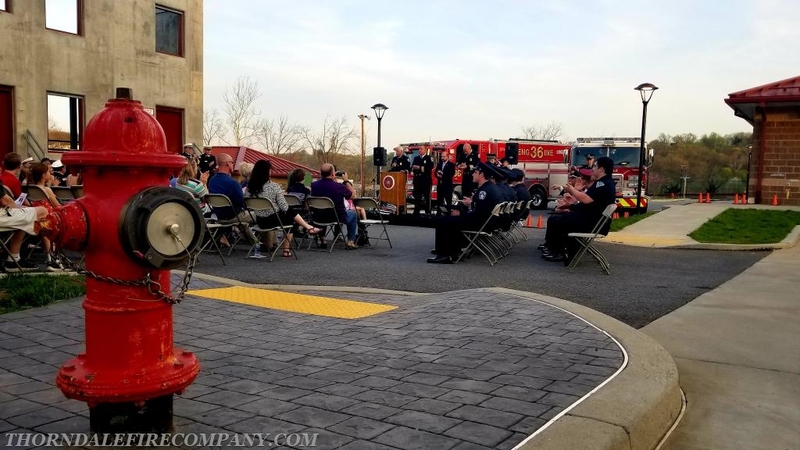 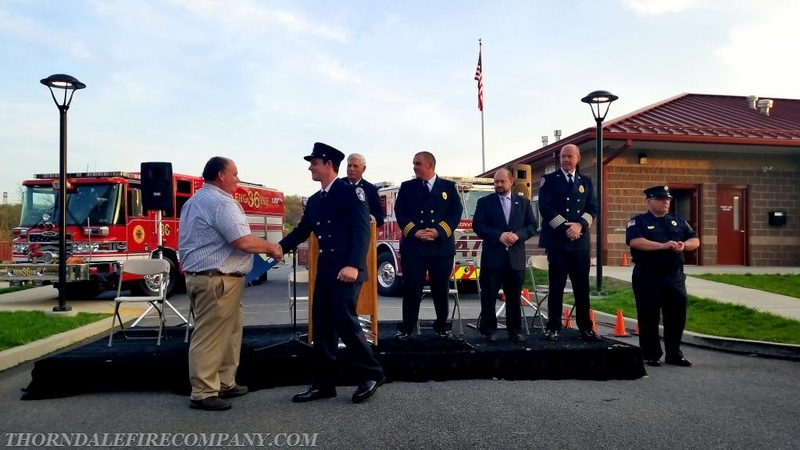 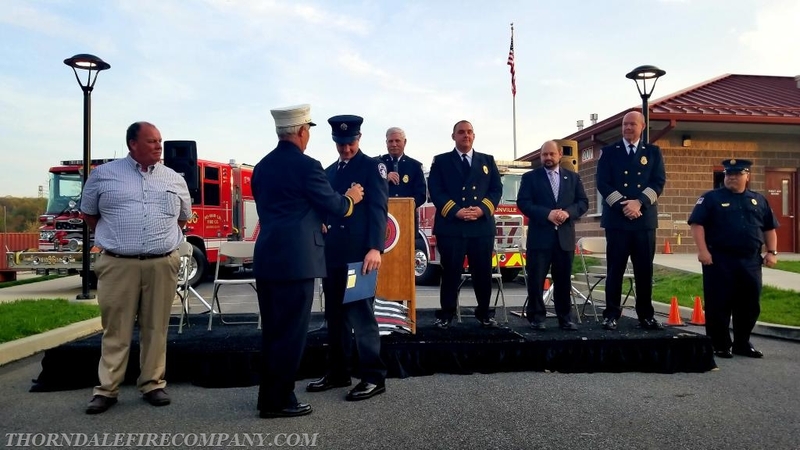 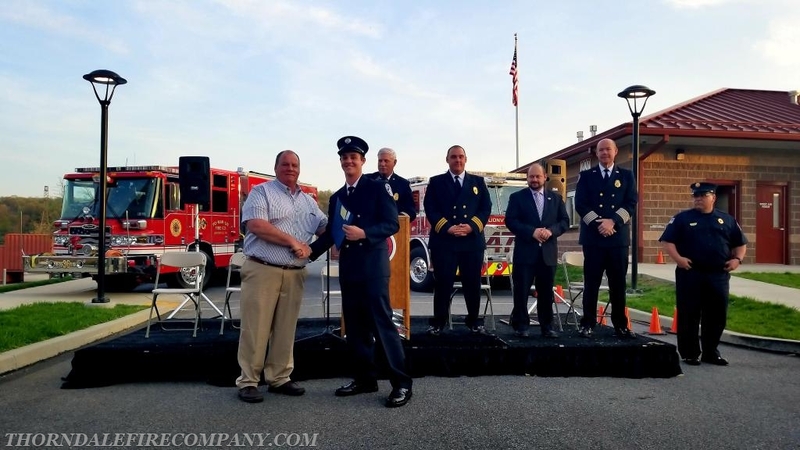 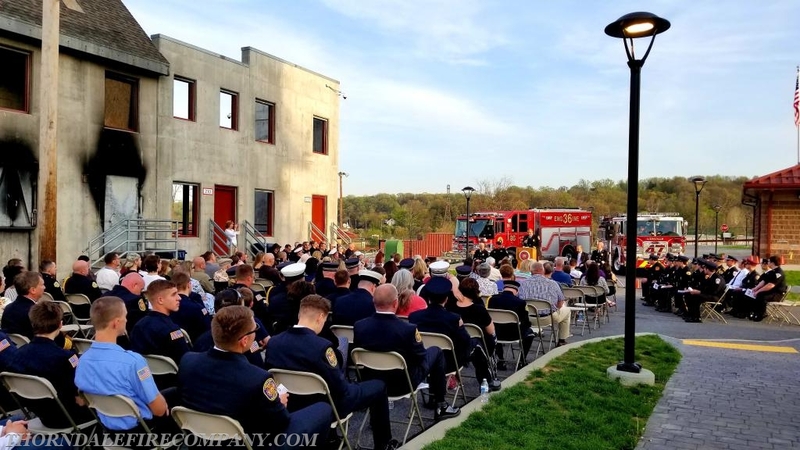 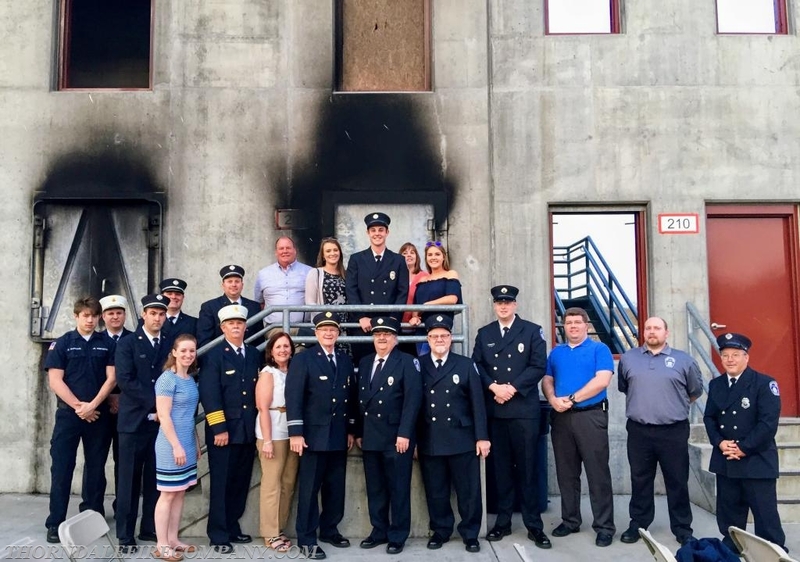 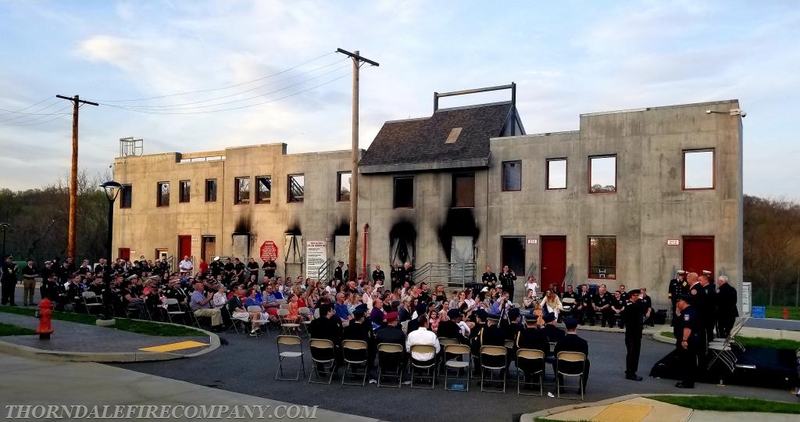 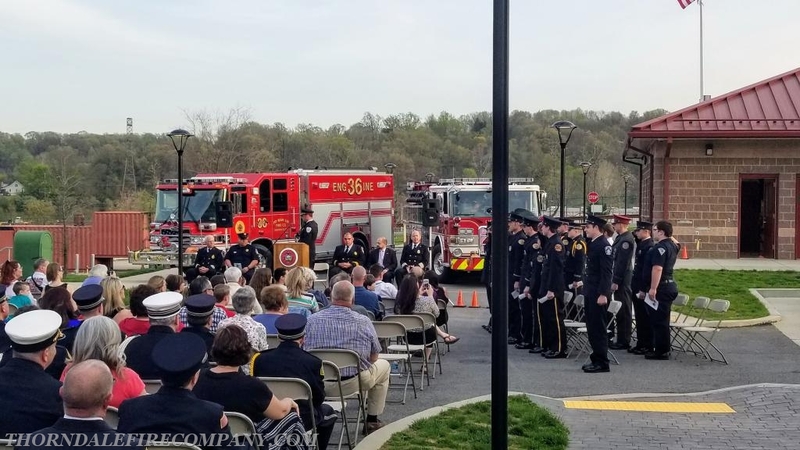 On Wednesday May 2nd, members from the fire company traveled to South Coatesville to attend the Spring, Fire 1 Graduation at the Chester County Public Safety Training Center. 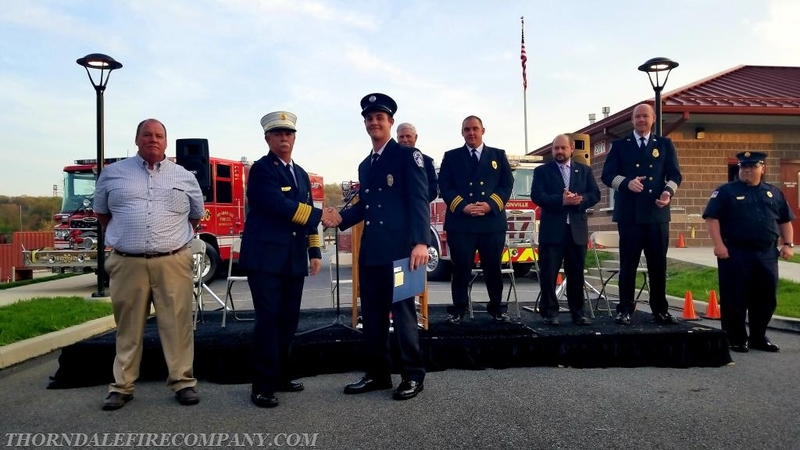 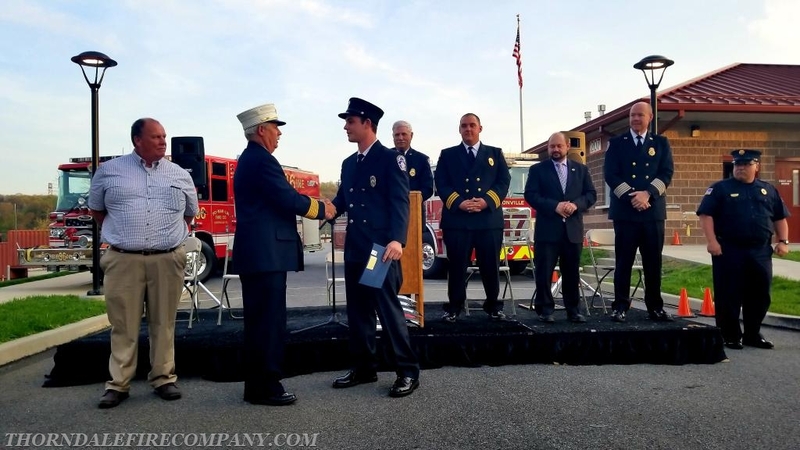 One of our recent junior fireman that has been with the fire company since he was 14, Eric Stewart, graduated into full firefighter status. 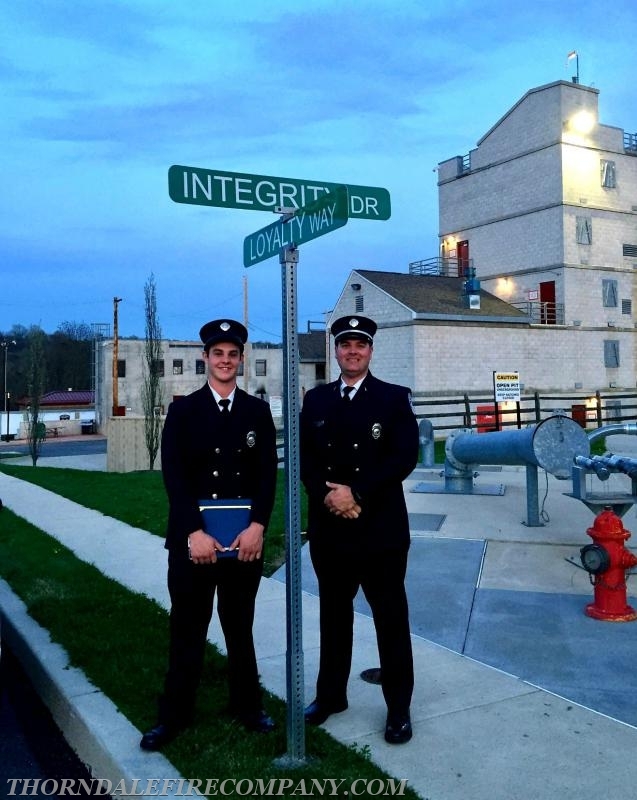 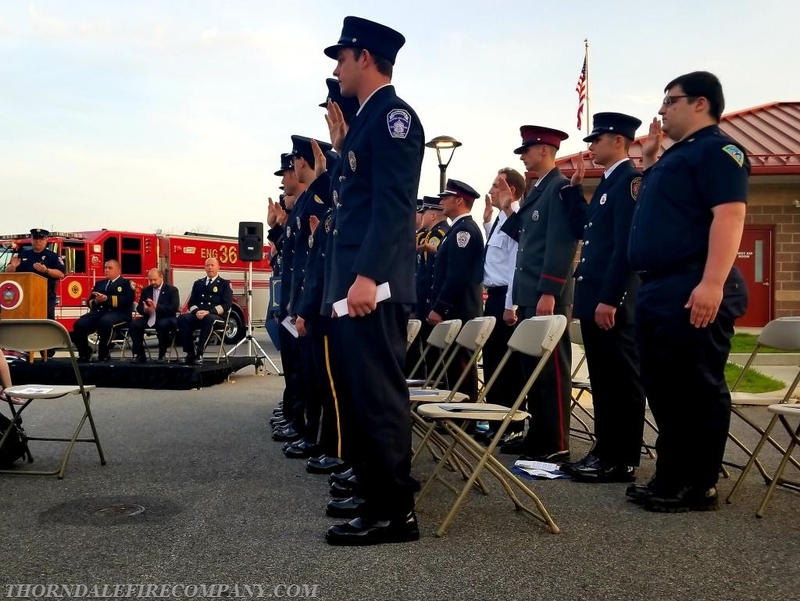 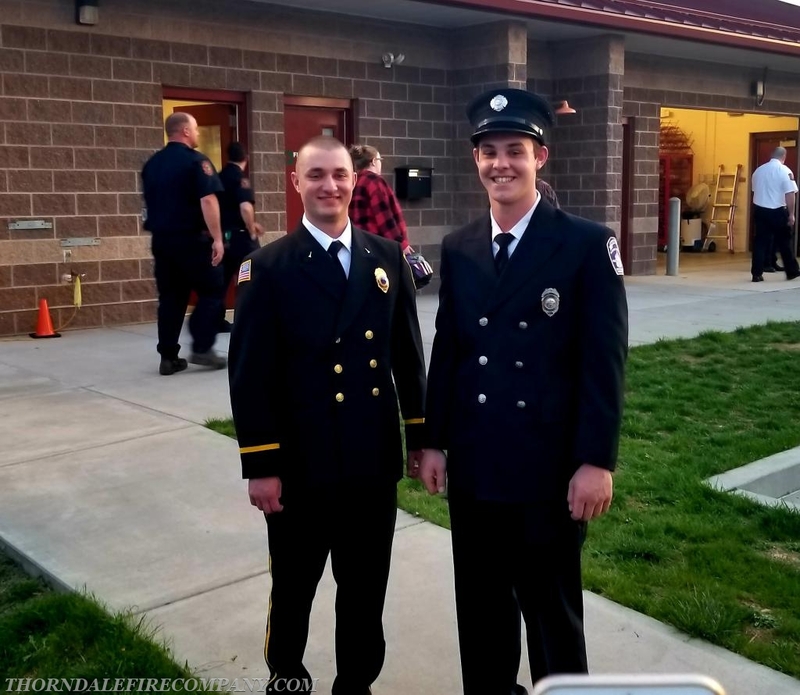 Eric is following in the foot steps of his father, Bill Stewart, who is a former Assistant Chief of the Thorndale Fire Company. 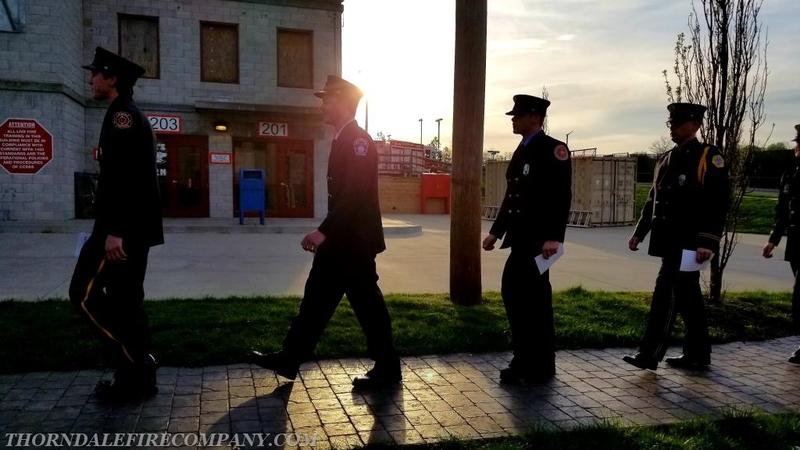 Eric has completed the 10 week, almost 200-hour basic firefighting class, but he has just begun a long and promising road in the emergency services, and we wish him much success.